It's now 8 years since I was diagnosed and I count myself so lucky to be here, I just want to help others be lucky too. In Scotland we are blessed with some of the best produce anywhere in the world, this is especially true of our seafood. 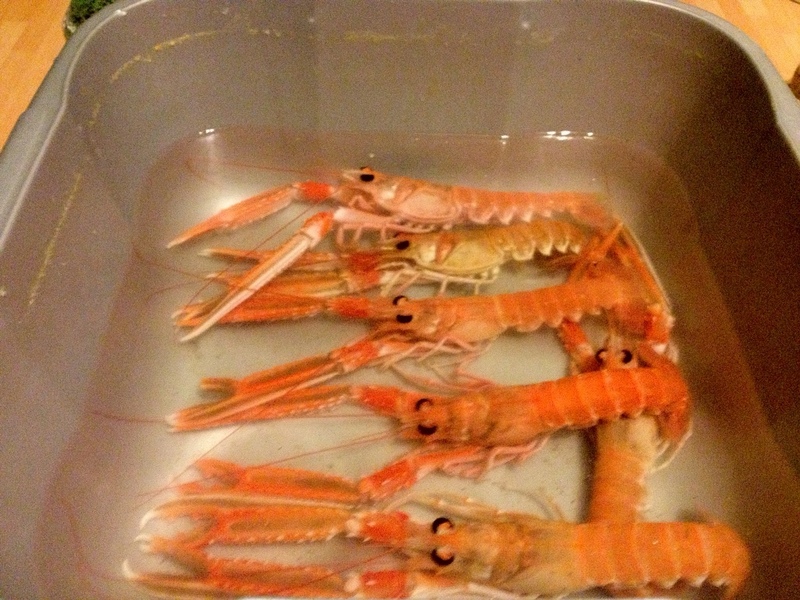 A huge proportion of Scottish fish and shellfish are put on ice, distributed to other parts of the UK, and exported primarily to Europe where they prize our langoustine and shellfish in particular, even more than their own. I'm struck by a story I recently read of somebody on holiday in Spain, they went to a supermarket and were amazed by the huge variety of shellfish on the counters. 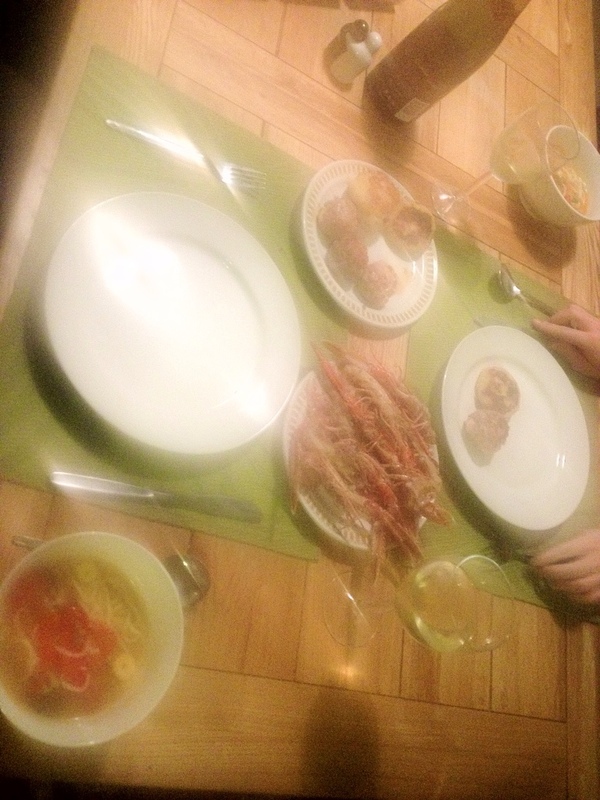 They noticed stunning lobsters and langoustine and with their basic Spanish asked where they were fished, the answer….. Scotland. A fish manger friend of mine has moaned for the longest time that close to 90% of our langoustine catch goes abroad only for he scraps to be packed as scampi as sold back to us. Not a great deal for us it as to be said. These are the tastiest most succulent prawns you will ever have and they come from our own doorstep when compared to the Asian caught tiger prawns you find in your supermarkets. People may say, but the price is too high, well if we can get past that and increase the demand at home, more will stay here and the price will go down….! So for the sake of my wallet please start buying them :). To cook them it couldn't be easier, start by taking a big knife and cutting them in half right down the shell. Get a griddle pan nice and hot and put the langoustine on flesh side down, after a minute turn and liberally add garlic butter and some parsley. Cook for 2 minutes and serve with bread or as part of a tapas selection. 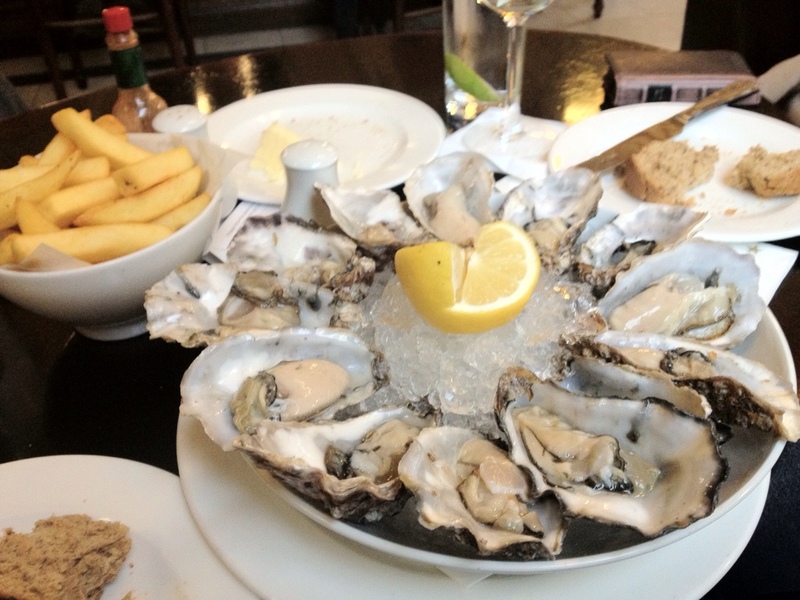 Another gem of the Scottish waters are our oysters, freshly shucked and served with lemon juice is a dream for me but they have a number of serving options. A shallot vinegarette is the classic french option but I do also enjoy Kilpatrick, bacon and a balsamic drizzle grilled oyster. Delicious. 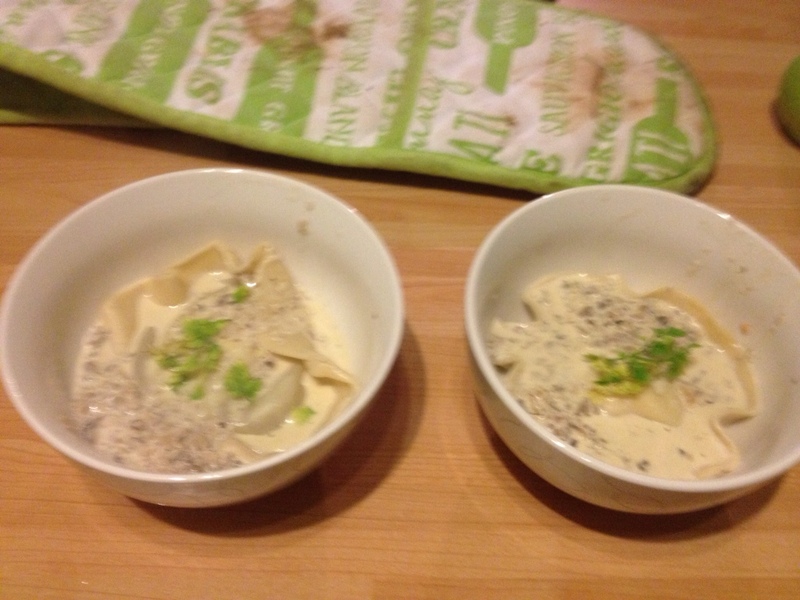 Inspired by young Oli on Masterchef I fancied trying his duck egg yolk ravioli with truffle mash and mushroom velouté. This meant also making my own pasta. 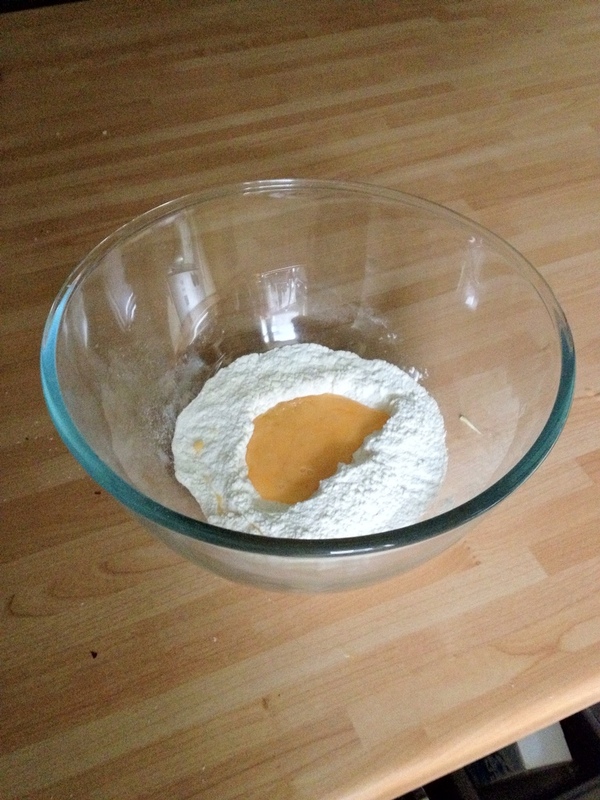 Making pasta is one of these things that sounds like should be really hard, certain flour….certain oil……not too much water, what ratio of flour to eggs……! I went back to basics and found an old Italian cook book that stated use high qaulity strong bread flour, for every 100gms use one egg and add a tablespoon of water and olive oil. 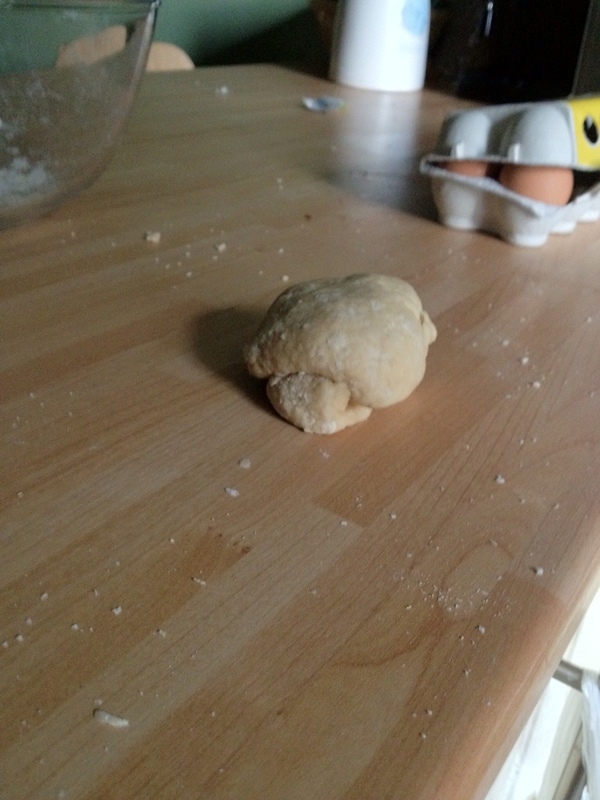 After mixing with my hands and kneading the dough I had a nice textured ball as per the below. Wrapped in cling film and left in the fridge for 4 hours, should be fine after 1 but I was out for the day. In a pan of salted water I put some pieces of maris piper and boiled till soft. Once cooked I mashed added a knob of butter and a half teaspoon of truffle oil. For rolling out the pasta I used my trusty pasta machine. 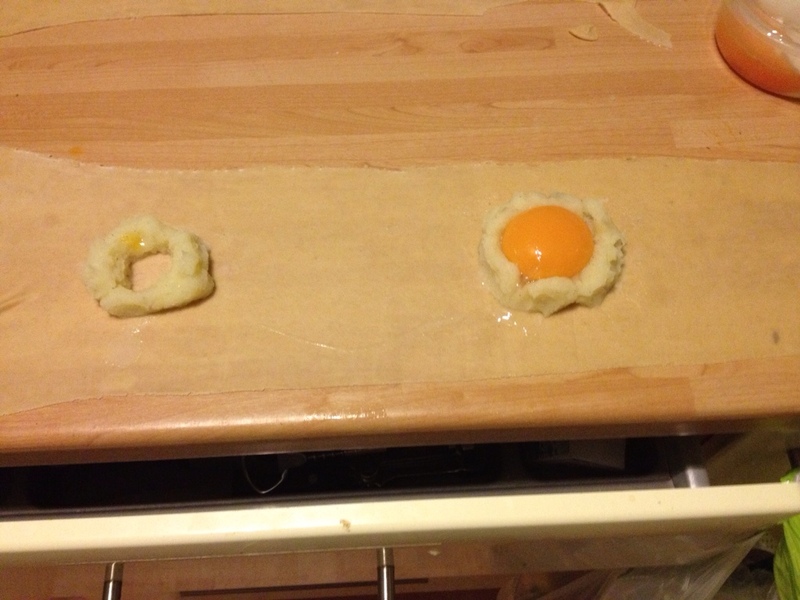 Once done I created rings of potato and placed inside in a duck egg yolk. 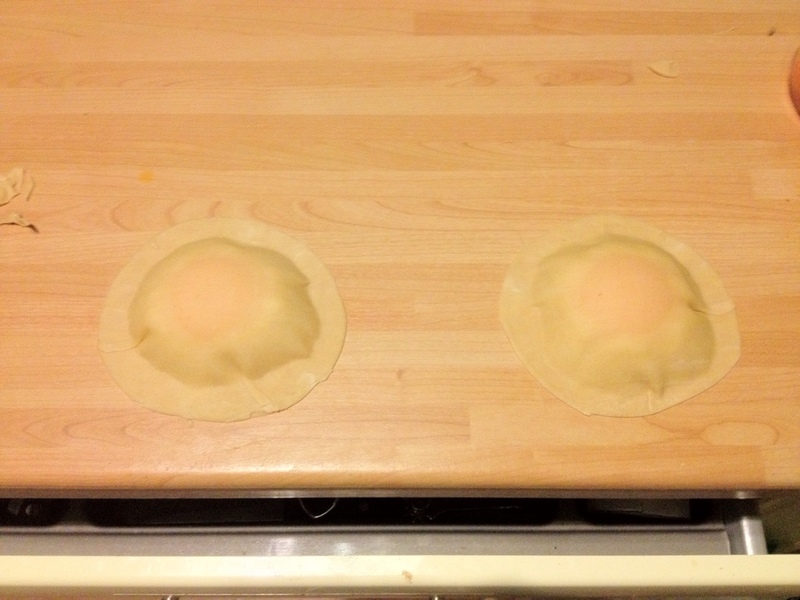 With the egg yolk safely placed in the ring I placed over the second layer of pasta and gently sealed the ravioli. For the mushroom velouté I cooked out shallots and garlic with white wine till soft then added chopped chestnut mushrooms and topped up with chicken stock then left on a low heat for fifteen minutes. Once cooked I blended and added cream then it back on the heat for five minutes. For the ravioli I cooked them in boiling salted water for 4 minutes, this is just enough to cook the pasta and warm the egg through. Served in a bowl the dish is delicious. Rich duck egg with earthy mushroom and truffle, it just works so well. Highly Jd Recommended :)! So we all know money is tight these days and with so many social events doing secret Santa I thought something made by my fair hands might not just be affordable but also more personal as well. Muffins and french macaroons have been all the rage for the last 18 months with 8 macaroons costing anything up to £15. Baking has never been my strongest point but using a recipe from http://www.deliciousmagazine.com I thought it looked pretty straight forward. Bind 4 egg whites with a pinch of salt to soft peaks, then add 150gms of caster sugar and fold it through. In another bowl bind 175gms of ground almonds with 125gms of icing sugar and then sift it. At this point take the meringue mix and split into as many bowls as flavours your making and add your colouring/flavourings. 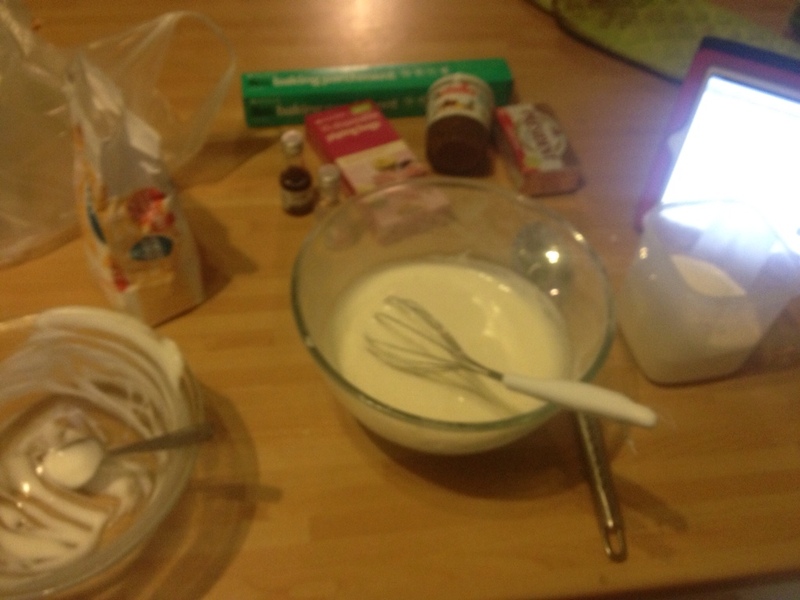 Then add to his half the volume of almond mix to the meringue. Mix then repeat with the other half. Get your oven trays and cover with parchment. Get your piping bag and pipe 3/4cm in diameter macaroons safely apart. You should have enough mix for 20 macaroons. Once piped leave for 15 minutes to allow a skin to form. Finally bake for 10/12 minutes in a 160 degree oven. Once baked allow to cool. 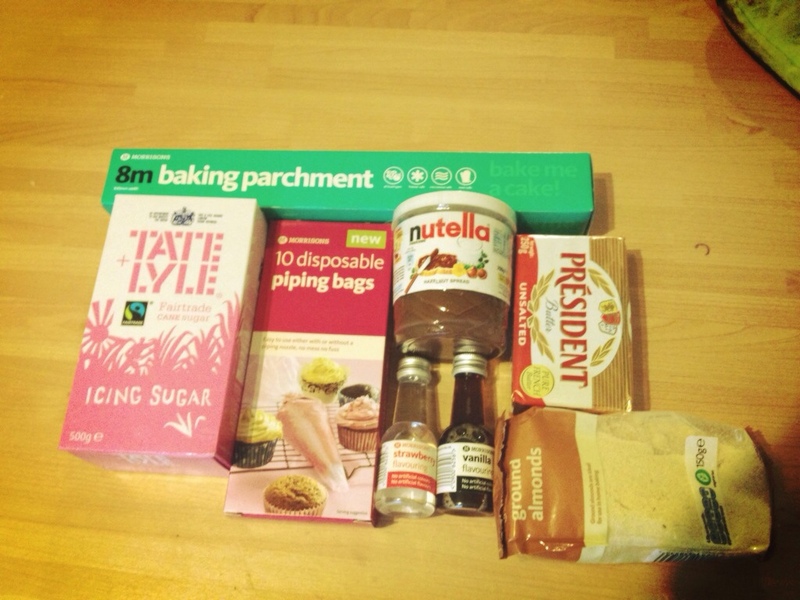 For my icing I mixed Nutella, icing sugar and butter and piped. Finished result below. I loved making an enjoying 🙂 highly JD Recommended! Ooooh I couldn’t half go a curry! Curry…..Indian is the first thing that pops into my head but really it's a rather quintessentially British thing as well. 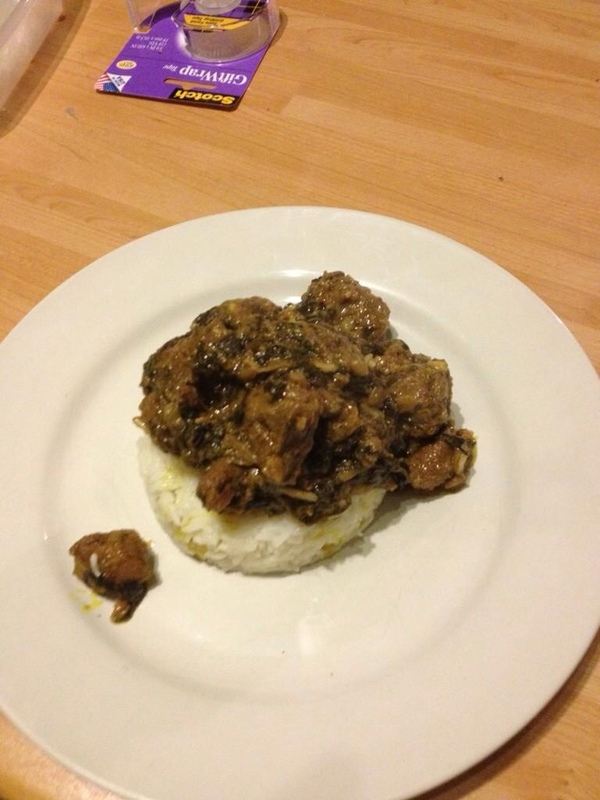 From korma to vindaloo we have long been taken by the smells, spice and taste. For last nights dinner I decided to take some beautiful diced lamb reared two miles from my mums house is Fife just by Auchtertool by the now famous buffalo farmer Steve Mitchell. Having known Steve my whole life so happy to see him doing well, I don't just buy his produce because I know him though, the quality of what he is producing is just superb. What really strikes you about this Jacobs lamb is the colour, it's a very deep red with plenty of marble on the meat as well. Steph actually saw it and asked me if it was beef. 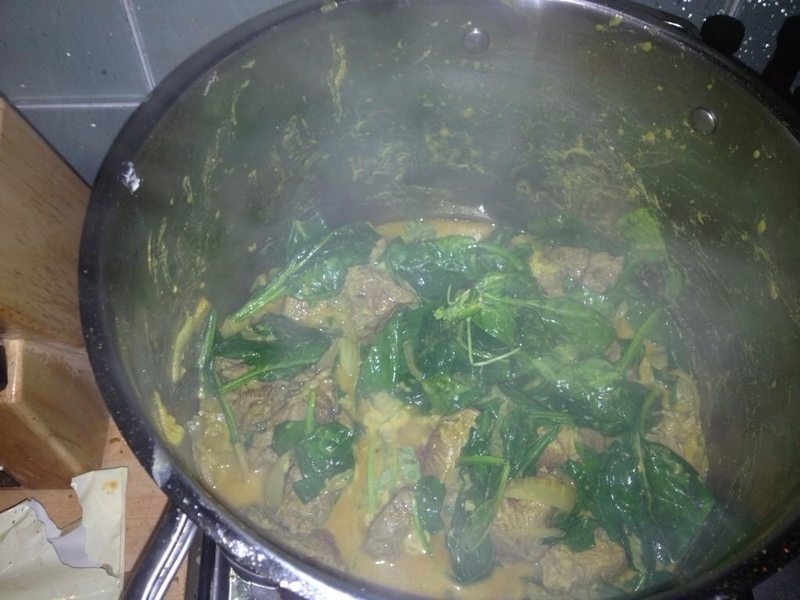 The curry I chose is saag goscht, a delicacy of the Punjab, it's a dish popular during the Baisakhi festival. Baisakhi is the one of the major festivals of Sikhs and celebrated with lot of enthusiasm. The Baishakhi festival falls on the first day of vaishakh month(April-May)according to Nanakshahi or Sikh calendar. The beauty of this dish is its simplicity, to start form a paste of 3 garlic cloves, half a thumb of ginger, 2 tablespoons of ground coriander and one hot green chilli. I used a mortar for this and it's gets the most out of the oils and blends the flavours better but you could use a blender. 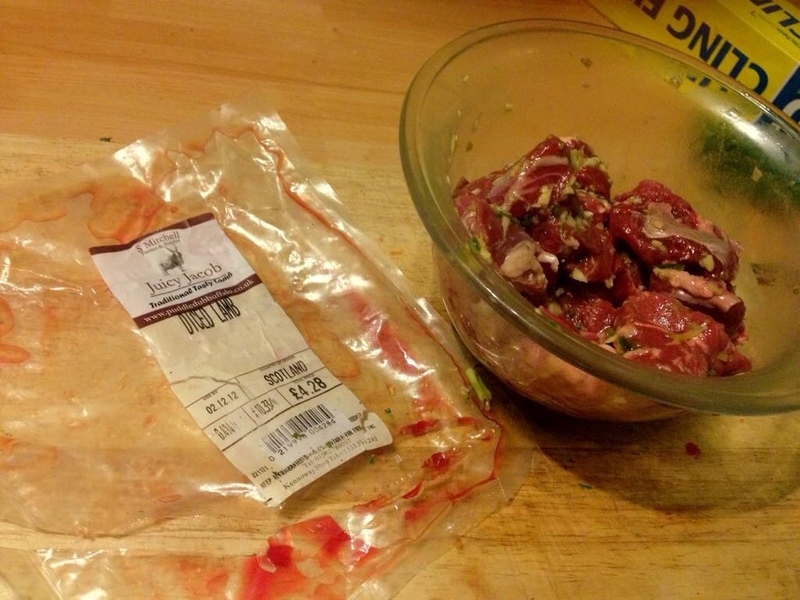 Add the mixture to the lamb and leave for as long as possible, at last an hour. Take 2 medium onions, chop into halves and thinly slice, in a heavy bottomed pan add ghee if you have it if not then butter. Add the onion and fry until brown. Once you have this put in the lamb and brown over a hight heat, when brown put to medium and cover to allow the meat to release water. Now for the spice, he recipe I used called for cayenne, turmeric and salt, I also added a cardamom pod. Once combined add 5 large tablespoons of natural yogurt one at a time combining it after each spoonful. Add 400g spinach allow to wilt then cover and put to a low heat. Leave it alone now for one hour stirring maybe twice. What you are left with is a cracking curry with melt in the mouth lamb that will warm you up nicely on a winters day, I served it with rice and garlic naan but this mix would go well with anything, even on a baked potato. Fair to say it comes highly JD Recommended! Hot off the presses, Sainsbury's has announced their decision to hugely increase their stocking of freedom veal produce. This new line which is 100% British includes escalope, mince, sirloin, fillet, rib chops, osso bucco, liver, shoulder and roasting joints. 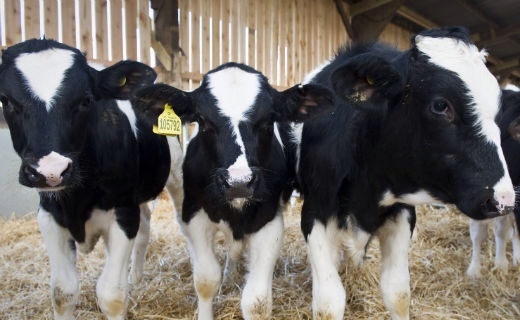 The article that can be found here, http://www.j-sainsbury.co.uk/media/latest-stories/2012/20121204-sainsburys-leads-the-way-with-freedom-food-veal-range/, is a giant leap forward in a sustainable veal market and can lead to a reduction in wasted calves.